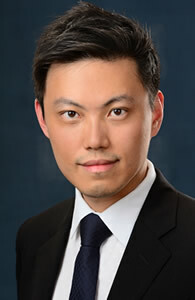 Dr Daniel Chen is a specialist endocrinologist, affiliated with St Vincent's Hospital. He completed his medical degree at the University of New South Wales. He also completed Master of Public Health at University of Sydney, graduating with merit. Dr Chen completed his endocrinology specialist training at St Vincent's Hospital in Sydney. Dr Chen is a VMO Endocrinologist in St Vincent's public and private hospital and Mater Hospital, North Sydney. Dr Chen undertook clinical doctoral research in the field of insulin resistance and obesity and has been awarded Doctor of Philosophy (PhD) from the University of New South Wales in 2016. Dr Chen's clinical research had been published in Sydney Morning Herald on various topics involving obesity and insulin resistance, "hunger gene" and "can you be fat and healthy?" Dr Chen has been interviewed by Medical Journal of Australia and is a reviewer for Internal Medicine Journal. Dr Chen is a regular author for “Australian Doctor”. He is a Fellow of the Royal Australian College of Physicians. He delivers a comprehensive and individualised service to his patients with clinical expertise in managing obesity/insulin resistance, thyroid conditions, gestational endocrine disorders, osteoporosis, diabetes and general endocrinology. Dr Chen works closely with your General practitioners (GPs) to provide personalised holistic care.